It is important to have such people in life who stand by you through your thick and thin and support you throughout. A true friend is someone you can rely on at any point in your life. Though you may meet many people, not everyone will be worth being a friend lifelong. The word friend should not be attached to just anybody and everybody. When you call someone a friend, you give him or her a very important place in your life, distinct from others. The most important factor of any friendship is trust. A true friend is one with whom you can share all you secrets and trust completely. A person who can keep your confidential and personal stuff to himself is definitely worth it. A true friend will always be concerned and worried about you. He will be always there to make sure whether you are all right. People who never forget to wish you on your birthday, who always congratulate you on your achievements and console you when you in adversities are those who actually care about you. A true friend will always give you honest advice and feedback. Even if you may not like to hear the advice he has for you, a true friend will only support you if he knows what you are doing is correct. If you are wrong, he will advise you against it and if you still against the advice, he will be there to help you to recover. A true friend will always wish happiness and well being for you. 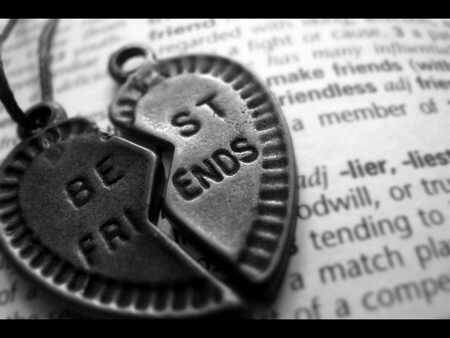 Permanence of your friendship is always the key. People prove their friendship only by being loyal to you consistently through ages. If they are always the same old buddy for you despite all the good and bad things happening in your life, then your friend is definitely a true friend. A true friend will be one who would willingly take up hardships to help your cause. He will help you in your hour of need; no matter how much inconvenience it might cause him. Achievements will give you friends; adversity will give you true friends. So many people would love to be friends with you when you are successful but only true friends will bother to stand back even when you face crisis. To have a true friend is like having a prized possession in your life. It is not east to find a true friend with all the above qualities. So if you find one, learn to treasure him and appreciate his value in your life to make sure that you do not let him go.